Located near Mt Tomah Botanic Gardens in the Bilpin region of the Blue Mountains. Only 50min drive from Katoomba! PLEASE NOTE: Phone reception is very poor in our part of the Blue Mountains - if you can't reach us via phone please email with your enquiry + phone number and we will call you back. Join a small, personal tour group and embark on a nocturnal adventure into a world of glowing lights. Walking through the bush, feel the excitement build as first glimpses of the Glow Worms can be spotted through the trees. Climb down to the bottom of an ancient sandstone canyon and follow its twists and turns to the main Glow Worm viewing area. In this natural amphitheatre, sit and wait in silence as thousands of Glow Worms begin to appear like stars around you. 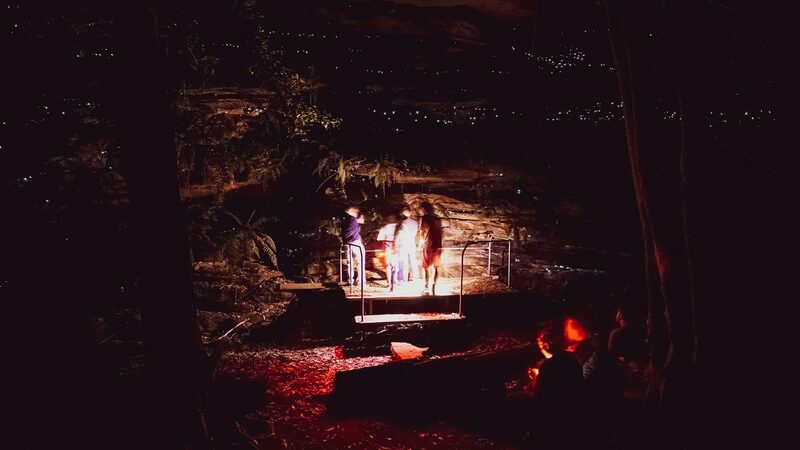 Listen to your experienced guide recount stories of the early colonial era sightings of Glow Worms in the Blue Mountains. Learn all about Glow Worms, their life-cycles and interesting behaviours during an interactive biology lesson. Ask your own questions to discover the truly bizarre and unique details - including HOW and WHY they produce light. Positioned underneath a densely populated glow worm overhang, our custom-built viewing platform allows you and your friends to climb up for a very personal experience with the Glow Worms! 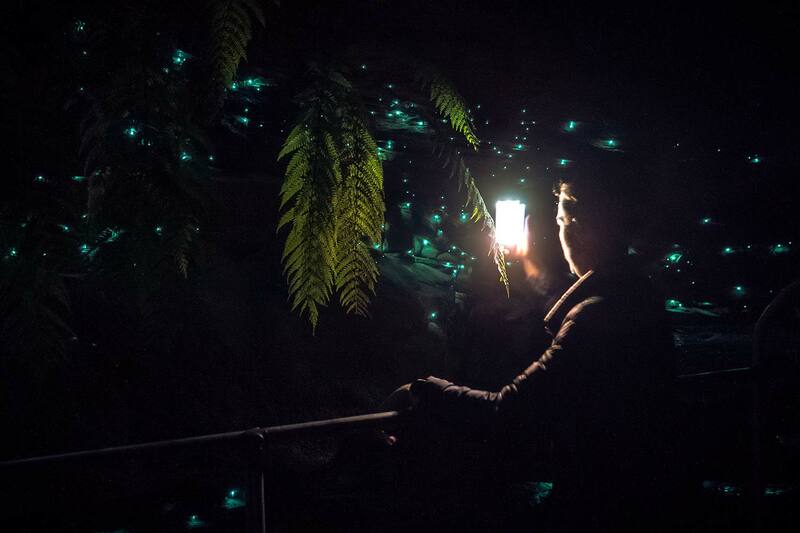 No other tour or in Australia lets you get so close to Glow Worms in their natural habitat. 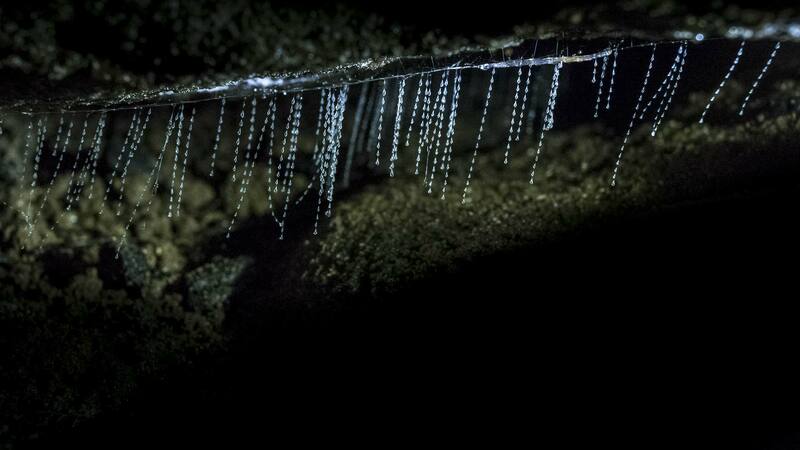 Leaning in only inches away, watch the intricate and sticky Glow Worm webs dangling down from the rocks. If you're lucky you might see a Glow Worm wriggling back and forth in its web! Up this close you will be surprised at how many more Glow Worms are visible – and how bright they are! Only 50min Drive from Katoomba! Leave the city and tourist crowds behind for a magical night to remember! Blue Mountains Glow Worm Tours operate on Private Property located close to Mt Tomah in the Bilpin region of the Blue Mountains, less than 2hrs drive from Sydney. 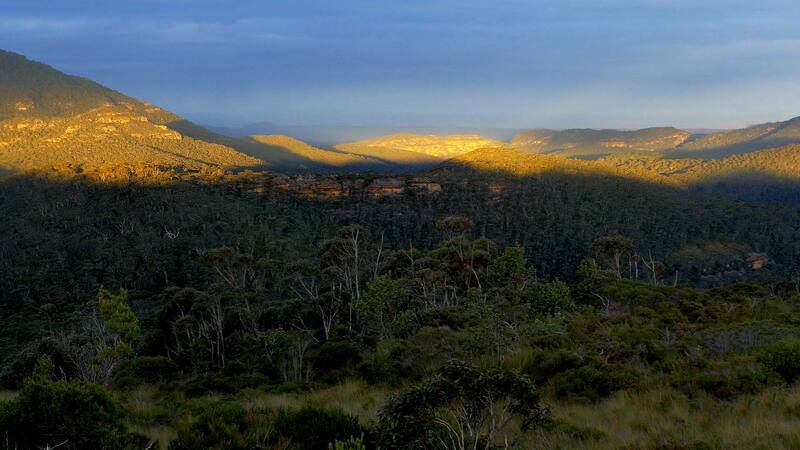 Enjoy spectacular, world-class Blue Mountains scenery as you drive along Bells Line of Road to our tour meeting point. The Bilpin region is famous for its apple picking and delicious range of local produce. Need help planning your trip? Browse our Local Lookouts and Restaurant Guide for some places to visit in the Blue Mountains! Browse our videos and time-lapse footage of the Glow Worm Colony to get a sneak-peak into this unbelievable bio-luminescent world. Make sure to watch in full screen! 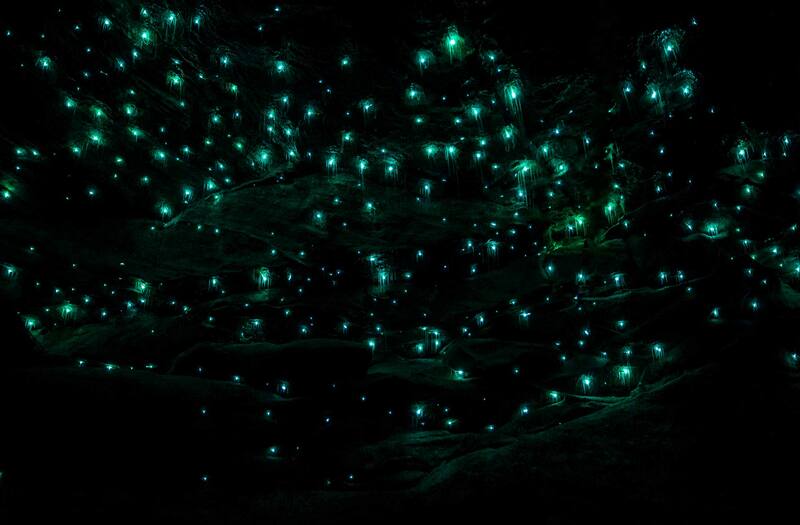 After discovering a large Glow Worm colony on our private property, we have been showing visitors this amazing natural wonder for almost 3 years. Over this time the tour has evolved based on guest feedback and our own leaning and experience of the Glow Worms. The tour has been carefully designed to ensure everyones Glow Worm experience is the highlight of their trip to the Blue mountains. Check out what all these previous customers have to say about their magical experience on the tour! Looking to do something different, special and awe inspiring? This is it!!! Loved this experience, so unique and what a passionate tour guide! Couldn't recommend it more. A truely magically experience. Jochen was a fantastic tour guide. It was like a natural theme park ride full of intrigue and jam packed with facts and stories. 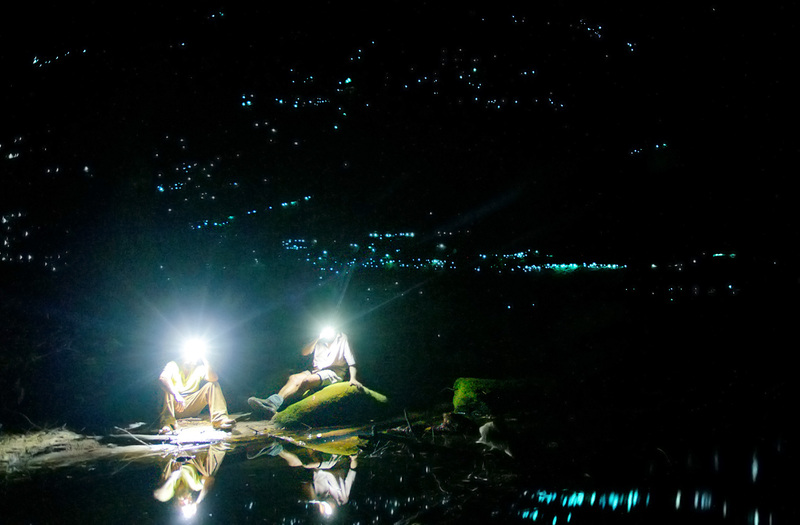 Words can't describe the glow worms themselves... an experience not to be missed. "Better than NZ glow worms"
"...The first sight of the worms glowing was really exciting. We especially enjoyed the time we had to study the worms up close, ask lots of questions and just sit in silence contemplating the unusual beauty of this special place. Highly recommend this far off the beaten path experience. "Went up to the Blue Mountains to celebrate 1st year of marriage and we chose to spent the one night we were there going to see the glow worms. It was the best decision we have ever made...The view from the bottom of the valley was outstanding and the highlight of our trip. I would go to the mountains again just to reexperience the glow worms. We also got up close and had a look at their webs. I highly reccomend this experience! Book in advance if possible because some sessions book out fast." We started off with a short night hike, with provided head lamps. We loved Jochen's passion and knowledge about the glow worms. It was truly magical, the closest I can come to describing it, is laying in a field at night with no lights anywhere and then the stars start to come out. Nature at its best! So if you love learning new things, seeing things that can only be seen in NZ and AUS, can use a little magic in your life go see the glow worms. An absolutely fantastic tour. A great find for is. Jochen was a wonderful guide. He was honest and really knowledgable. The walk down is lovely, and on the way back we even got a little astronomy knowledge! The glow worms are wonderful considering they're only recently found and mostly untouched. We'll definitely be back to see some fireflies in December too. Thanks for a great tour!